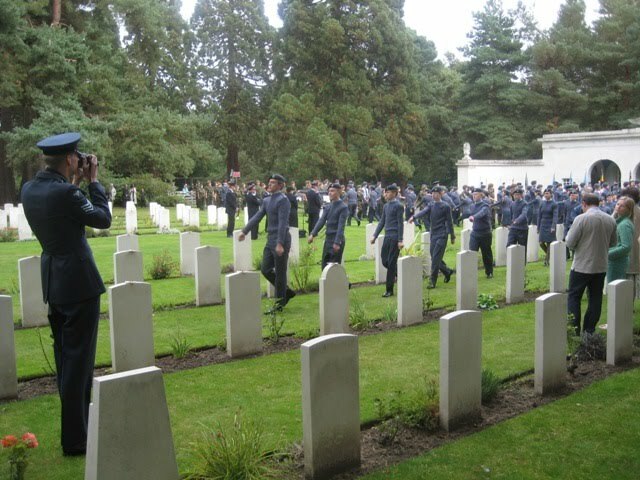 The cadets prepare to lay crosses at the graves of the fallen RAF airmen. 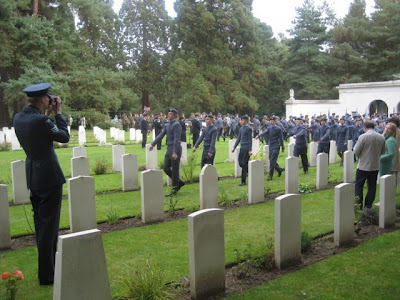 As always the parade was well attended with plenty of Air Training Corps cadets (one of which was my youngest son), Royal Air Force personnel, members of the public and proud parents. It was gratifying that a few veterans of the conflict (all in their late 80's and early 90's) were also able to attend. The Air Training Corps is made up of cadets aged between 14 and 18 and it was a wonderful to see so many of these young people devoting their spare time to honour the dead and living who participated in the Battle of Britain. 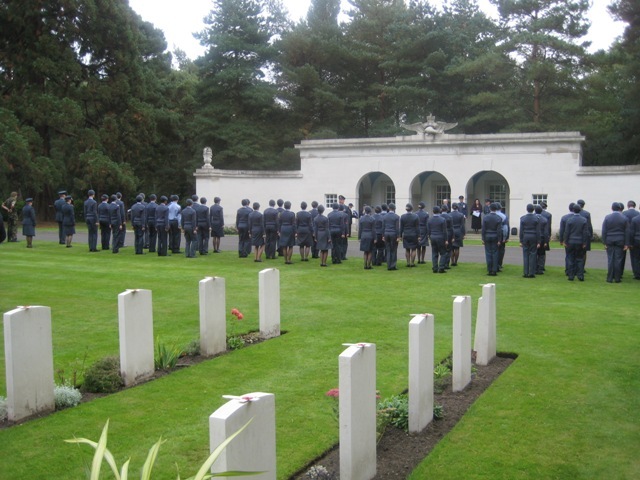 The cadets line up in front of the RAF memorial. Here is a video of the march past. Sorry for the picture quality. 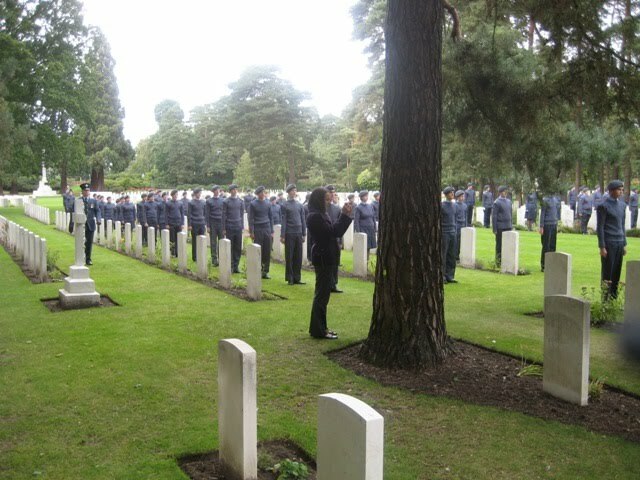 Americans admire Brits and their stiff upper lips that they displayed during the Battle of Britain. Thanks for sharing this. Thanks for your kind comment Karen. I miss your posts. When will you be blogging again? You must be very proud of your son! How lovely. It is indeed a big anniversary and it is sad that soon there will be no more surviving soldiers left. Wordless Wednesday ~ "A river runs through it". Salisbury Cathedral - my first ever visit.